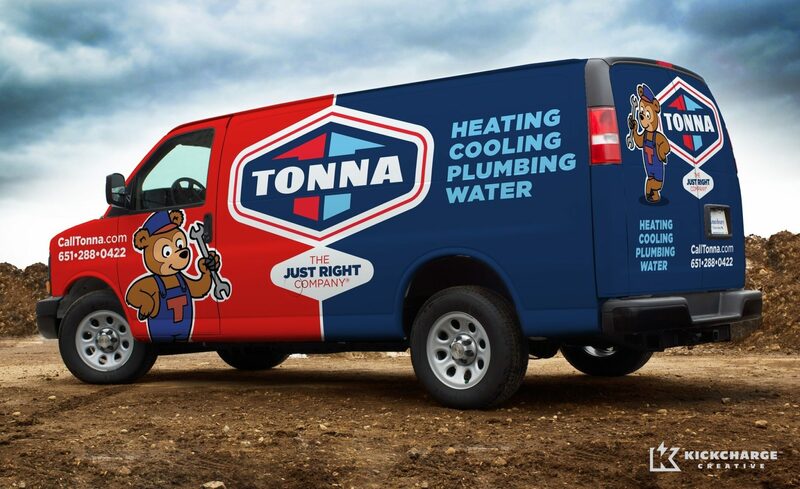 Tonna Mechanical initially approached us for a branding solution, but the scope quickly grew to include its website, vehicle wraps, collateral, stationery, social media, email marketing and marketing strategy, all centered around a friendly, customer-service oriented brand image. “It started with the brand. They came to us with something we could really buy into,” said Patrick. 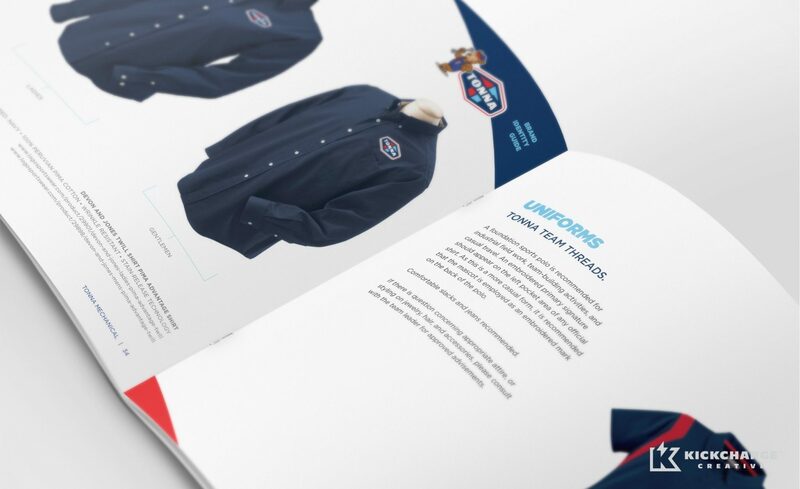 In the new brand, the company’s focus on quality service is reflected with an approachable bear mascot wearing coveralls that feature the Tonna icon. 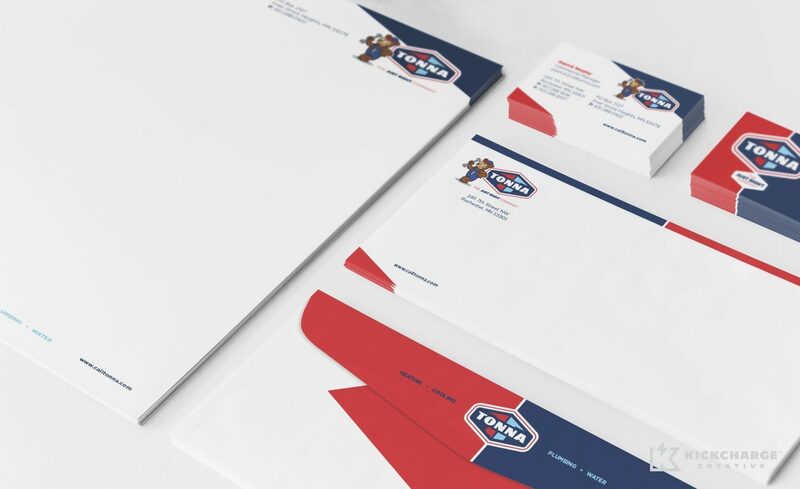 The brand communicates the company’s HVAC business through the use of blue and red colors, but does so in a non-traditional way for the industry – as a background element to the company name. The font used in the company name and tagline – “The Just Right Company” – was also modernized, and brightened by converting it to white, from the existing black. 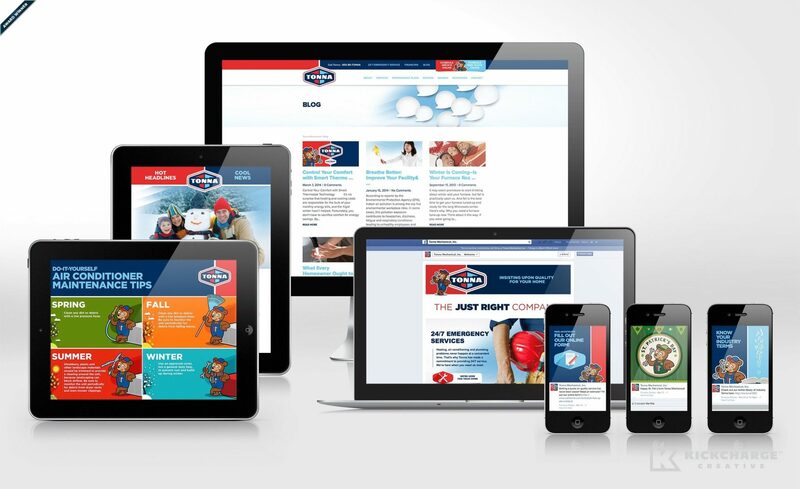 The new brand was extended to the company’s website, which was refined to become more user-friendly and effective at generating new leads for the company. The company’s fleet was wrapped with the new brand, while an updated stationery design brought the brand home in the market. 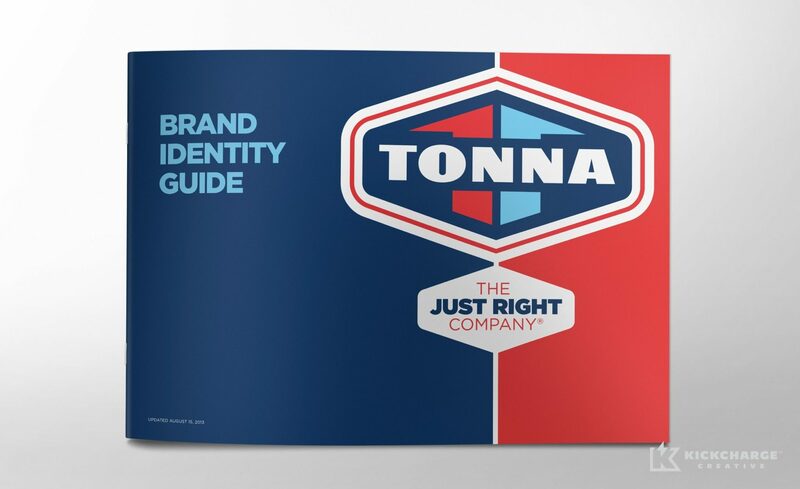 Ensuring that the new brand image was maintained properly, we also created a brand identity guide. Based on the positive results, Graphic D-Signs was also retained to handle all of Tonna Mechanical’s marketing needs moving forward. It was a rewarding experience to help evolve the Tonna Mechanical brand to the next stage in the family-owned company’s history. We got the chance to work with passionate people who cared about their brand just as much as we do. “The professional image our branding provides is something we can wear with pride,” said Patrick. “I couldn’t be more proud of the Tonna brand.” With a new comprehensive brand image in the market, Tonna Mechanical now has a bright future with many avenues for growth. “We are excited to bring the brand into fresh new marketing and advertising opportunities. The future looks bright!” he said.